Unlike many other careers, first responders are frequently exposed to highly stressful and traumatic situations on a regular, if not daily, basis, which can lead to psychological issues such as post-traumatic stress disorder (PTSD). Board-certified counselor Jordanna Saunders LPC provides expert counseling services to first responders at Trauma Recovery Services of Arizona in Goodyear, Arizona. If you’re a first responder, you need to take care of yourself so you can continue to take care of others. 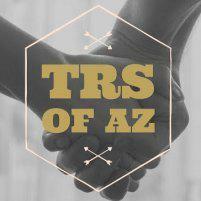 Call Trauma Recovery Services of Arizona or make an appointment online today. First responders are the police officers, firefighters, and EMTs who are the first people to respond to emergencies. As a first responder, you’re exposed to chaotic, stressful, and traumatic situations day in and day out. Over time, these experiences can lead to psychological issues such as post-traumatic stress disorder (PTSD), substance abuse, and depression. The social stigma around mental health is often even stronger among first responders, where any abnormality is considered a sign of weakness in a culture where courage and personal strength are highly regarded. However, mental health issues, like other health conditions, are often more easily treated when you get help early. Avoiding counseling because of misguided stigma may only compound problems later on. What are the common psychological issues experienced by first responders? In addition to PTSD, first responders also have an increased risk of developing substance abuse disorders, depression, and suicide. What psychological treatments are helpful for first responders? At Trauma Recovery Services of Arizona, Jordanna provides customized counseling services and treatment plans for tailored to each individual’s needs. Many first responders benefit from eye movement desensitization and reprocessing (EMDR) and cognitive behavioral therapy. EMDR is emerging as an effective treatment for PTSD. The therapy uses rapid and repetitive eye movements to stimulate your brain into reprocessing traumatic and distressing memories. Your eyes follow either a light or Jordanna’s fingers as they move horizontally in front of your eyes. Jordanna gives you prompts to help you hold onto the traumatic memory as your eyes follow the light. Over time, EMDR allows you to process traumatic memories and think of them without negative thoughts or feelings. CBT is based on the principle that your thoughts control your feelings and actions. CBT teaches you to identify your negative thoughts and recognize how your thoughts are different from reality. You also learn strategies to adjust your emotional and behavioral responses. If you’re a first responder, whether you’re struggling with symptoms of PTSD or another mental health issue, call Trauma Recovery Services of Arizona or book an appointment online. A little self-care can go a long way toward protecting your overall health and wellness.